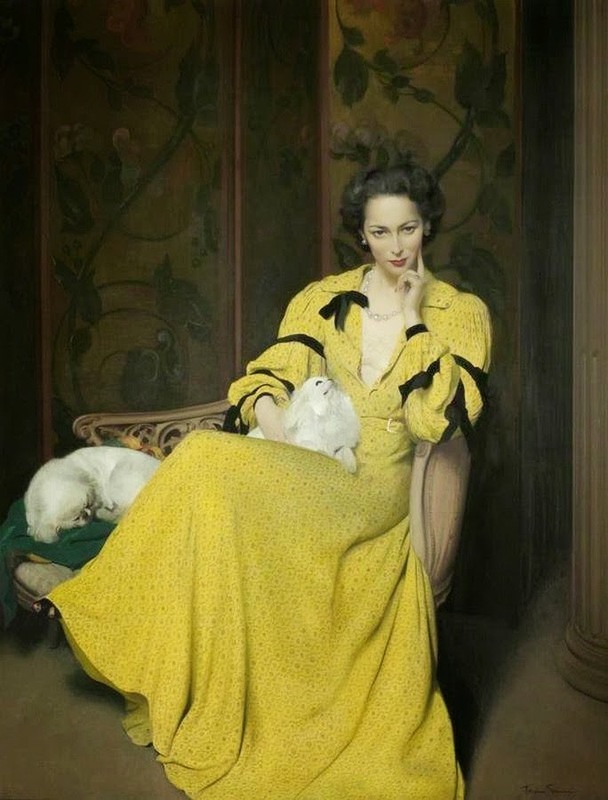 Sir Herbert James Gunn (1893-1964) was a British/Scottish painter of portraits and landscapes. Born in Glasgow, he studied at the Glasgow and Edinburgh Schools of Art, before attending the Académie Julian in Paris from 1911-1914. 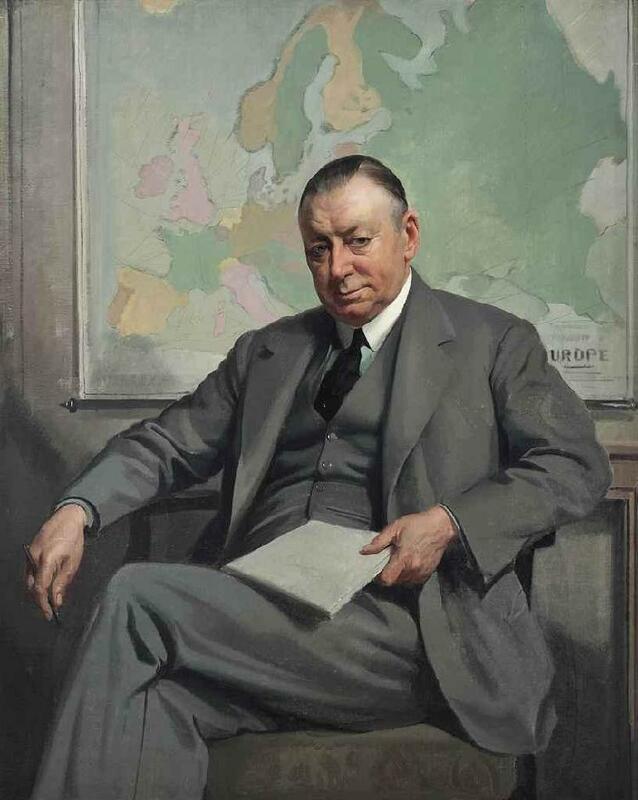 He left Paris at the outbreak of World War I. Gunn served first with the Artists' Rifles, a light infantry unit that was founded in 1859 as a regiment for artists, musicians, and actors, but by 1914 it had expanded to include many professionals and artists made up only five percent of the troops. He received a commission to the Scottish Rifles and saw active duty in France. After the war, Gunn's artistic career began in earnest. He began in landscape and had initial success. However, in 1926 Gunn decided to devote himself entirely to portraiture. Many of his portraits depict women, often of high society, although of course he painted men as well. 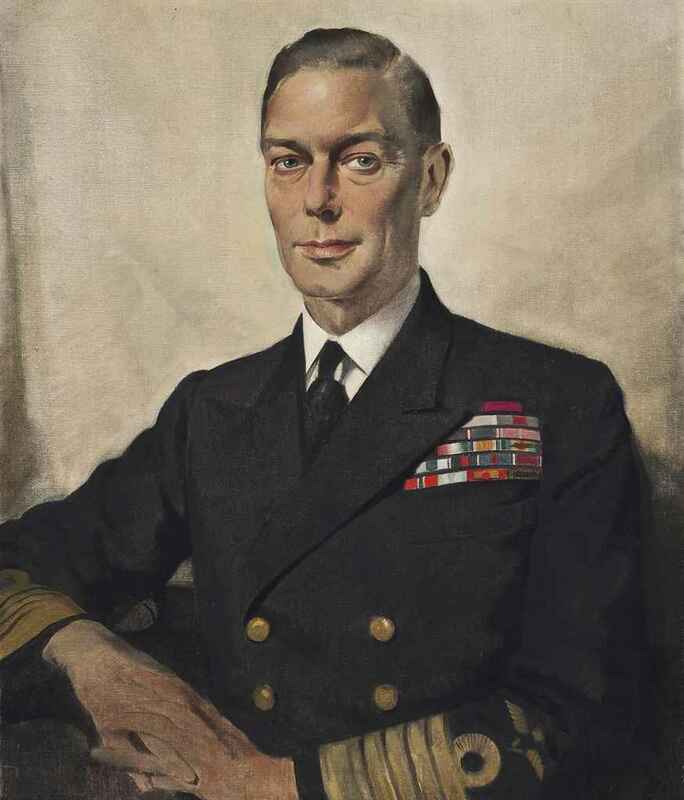 In portraiture Gunn was immensely successful, eventually receiving commissions to paint both King George VI and the official coronation portrait of Queen Elizabeth II. 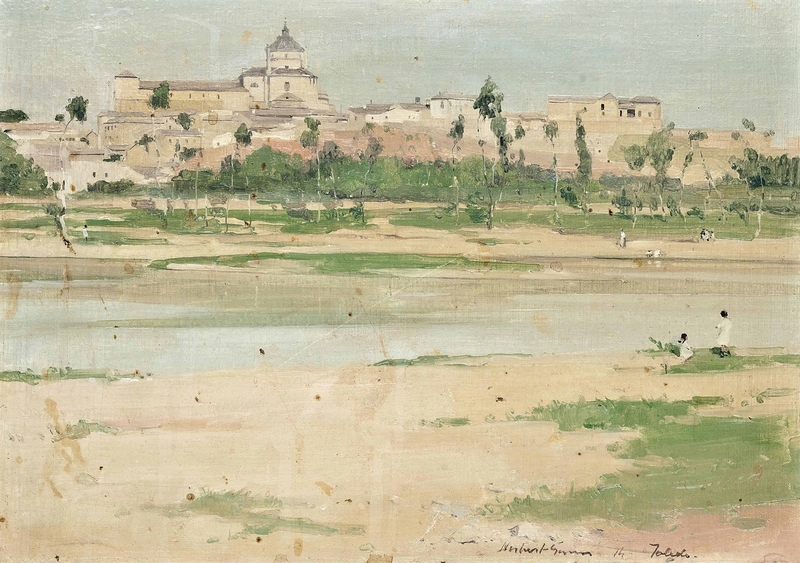 Pauline was the wife of the artist, and he painted her several times. Pauline Waiting is a beautiful portrait that captures the subject's elegance and poise. With excellent use of crisp, clear lines, Gunn created a painting that holds the viewer's fascination. Pauline is rendered beautifully and styled very intensely, catching the viewer's eye. She waits calmly, though perhaps she comes across a little impatient. 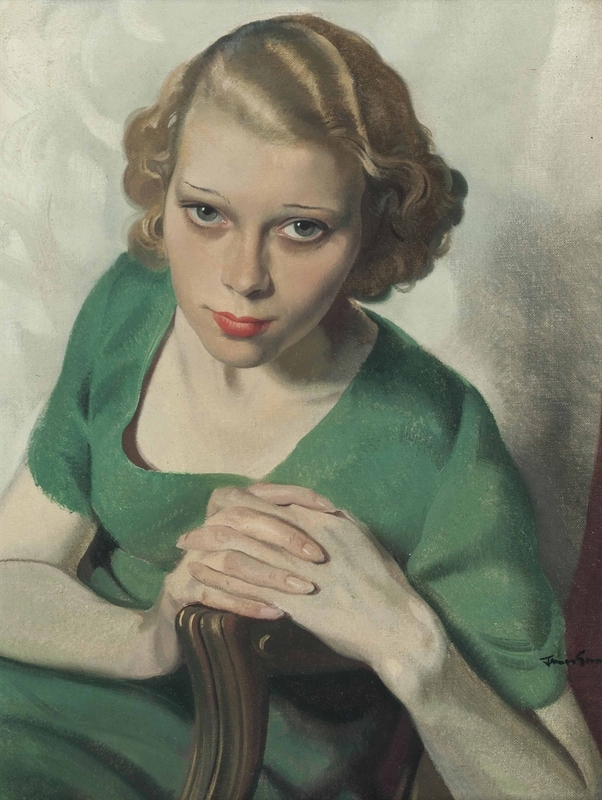 This may be due to the intense effect created by her contrasting skin and lipstick, as well as her clothing, because her expression does not appear agitated. Instead she seems to be gazing at something we cannot see, which naturally intrigues the viewer. She almost feels like someone we might pass by at a coffee shop, and wonder whom she was waiting for and what she was looking at. We are left to ponder Pauline's beautiful face with her dark, keen eyes. She stands out, black in a bright setting, but also as a beacon of intrigue in an otherwise uninteresting setting.